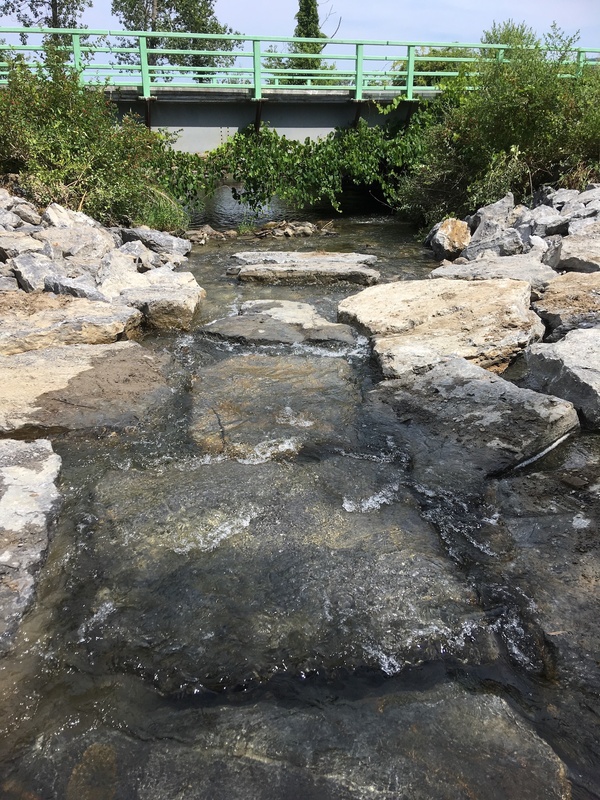 Trout Unlimited’s Columbia-Greene Chapter helped to remove two stream barriers in eastern New York, allowing native brook trout and other creek-dwelling creatures to access miles of cold water habitat. One of the projects involved removing an antiquated culvert on the Town of Chatham’s railroad bed, allowing Green Brook (above) to reestablish its natural flow. The culvert had collapsed at the crossing, damming the creek and creating a large wetland upstream. Because the culvert was buried under several hundred cubic yards of fill, removing it was no small task. Once the culvert was removed the channel was restored and the banks sloped and stabilized. The Town of Chatham was an important project partner, contributing time, materials and support. In Copake, N.Y., TU removed a failing ford crossing that was blocking fish migration and farmer access. The Noster Kill is a high-quality headwater stream of the Hudson River. Like Green Brook, the Noster Kill supports eastern brook trout. At the crossing, three concrete culverts were removed and replaced with large vane rocks (above). The rocks were designed and installed to allow trout to move through the ford, while also providing the farmer access to his back fields. The replacement of the degraded ford crossing opens up over 10 miles of stream. “Removing barriers like the Green Brook and Noster Kill helps fish, including native brook trout, access a diversity of habitat and is critically important as aquatic species face a variety of challenges, including a warming climate,” explained Vince DuBois, Columbia-Greene Chapter President. The projects were designed by Woidt Engineering and Consultants out of Binghamton, NY and constructed by local contractor Mitchison and Sons, Inc..
A New York state Water Quality Improvement Grant funded design and construction of both projects. Plants were provided through a partnership with the Arbor Day Foundation and enthusiastically installed by Columbia-Greene Chapter members. Tracy Brown is the New York and Connecticut restoration coordinator for Trout Unlimited's Northeast Coldwater Habitat Program. She is based in western Connecticut.